It’s been a long time since I’ve run a webinar. For years I had a subscription to GoToWebinar and would run webinars every now and then. It’s probably not a huge surprise that I enjoy hosting webinars… it’s kind of like podcasting while sharing your screen (a little crude description, but you get my point). I’ve taken my fair share of courses on webinars and have hired someone specifically to help me with my webinars. I got a little frustrated running webinars because so many people would register and not attend, even though I know it’s pretty much a standard to have about 30% attendance rate. Needless to say, I finally cancelled my account with GoToWebinar because I was paying for something I wasn’t using. Since then I’ve tried a handful of other webinar platforms, most run on Google hangouts. I’m not a fan of Google hangouts and the delay. I know this technology is just going to keep getting better, but I couldn’t ever get excited about using the platform (I think I have 3 different webinar platforms that run off of Google hangouts… I went as far as setting up test webinars, trying the platform but never promoting it). Hence my lack of webinars the past couple years. 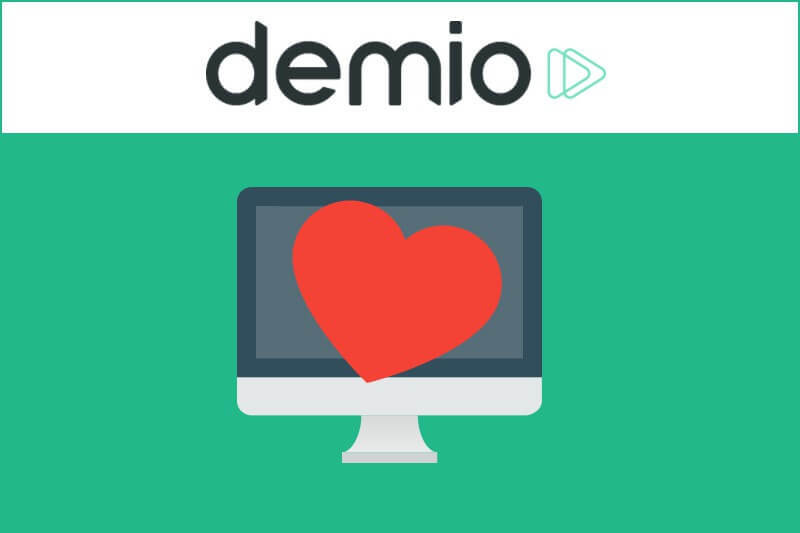 I watched the Demio launch and thought about jumping in but knew I wouldn’t be running any webinars anytime soon (mistake on my part… it was a lifetime price, I wish I had jumped in). What brought me back to taking another look at Demio was after watching a virtual summit on launching a SaaS product (a little bit of an obsession for me lately with LeadSurveys coming). I registered for one of Demio’s webinars and knew it was time to get back into webinars. I reached out to David Abrams, one of the founders of Demio, for a podcast interview and the rest as they say, is history. Before we talk about Demio, what were you & your partner doing before launching this? How did you and your partner connect to create Demio? Explain to the listeners what Demio is? What made you decide to ‘take on’ the webinar space? I watched your interview for the virtual summit for The Foundation. You guys spent a lot of time and money on this project. What were some of the challenges you faced? How did you guys decide on the pricing for Demio? What would you recommend to someone who wants to launch a SaaS?